A depression era circus full of interpersonal and interspecies drama occurs as characters and the circus menagerie travel by train from city to city. The story is told through the eyes of a veterinarian who joins the show by hopping the train in the middle of the night. 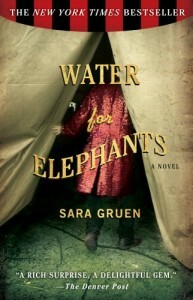 His encounters with the ringmaster, the trainer and his attractive young wife, a midget, and an elephant drive the plot. The most memorable character, in fact, one of the most lovingly and accurately portrayed in many years, is the veterinarian at the age of ninety-three.